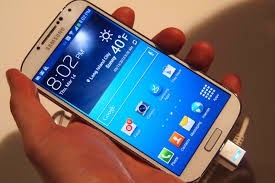 Few weeks ago, Samsung mobile released another intriguing technology into the andriod market. The Samsung Galaxy S5 has for sure beaten the challenges of other mobile devices.Are you looking for a phone that got all you need just in your palm? then you gotta search no more as the Samsung Galaxy S5 has proven to have it all. The Samsung Galaxy S5 has proven to be great with its great 16 mega pixel camera to capture the brightest and the smartest of all images in just a twinkle of an eye. Gamers are gonna enjoy the phone because it has just what they will be needing , unlike the Nokia XL Andriod phone. If you have lost the life span of your phone in the past in water, you will understand why you will need a water proof phone like the Samsung Galaxy S5. With an operating system of 4.4.2 (Kitkat), a better option can not be more reliable than the Samsung Galaxy S5. Go for it. Is good and above all, is just for someone of your class. Feel free to watch the video review i made of the Samsung Galaxy S5 mobile device. You can view video below. Feel free to share and tweet this product to the rest of your friends. If it not Galaxy, then it can't be Galaxy. I have decided to get hands on samsung galaxy S5 and thought to go through this review once.